In order to prevent the onset of thrombotic disease and associated illnesses it is imperative to empower patients to make smart lifestyle choices. When it comes to the empowerment of patients to make smart lifestyle choices, educational guidance is invaluable. As such, this page will outline some of the risk factors for deep vein thrombosis and associated illnesses as well as outline ways in which to mitigate these risks. One such preventative measure to lower the risk of onset for DVT is to receive an assessment at a thrombosis clinic. An assessment at a thrombosis clinic is important for reducing your future risk of deep vein thrombosis or associated illnesses. This is because there are certain factors that doctors use as markers to assess the vascular health of a patient. It is imperative to keep patients informed of these risks so that health problems do not escalate. Understanding the symptoms associated with deep vein thrombosis (DVT) is critical in ensuring a proper diagnosis and treatment. Often there will be swelling, pain, discoloration and even warmth in the leg, but these symptoms are not restricted to the leg only. They could also appear in the ankle, foot, arm, or neck. If symptoms escalate to chest pain, shortness of breath, dizziness, or if you are coughing up blood, you may be having a pulmonary embolism or another life threatening illness. If you are experiencing any symptoms of deep vein thrombosis (DVT) it is an emergency and requires a visit to the hospital. You may not necessarily require an overnight stay at a hospital. Rather, you may be referred to an outpatient thrombosis clinic. An outpatient clinic or ambulatory clinic is a healthcare facility that is primarily devoted to the care of patients who are treated at, but not admitted to, a hospital. We encourage you to seek an official thrombosis clinic in your area for effective treatment and management. 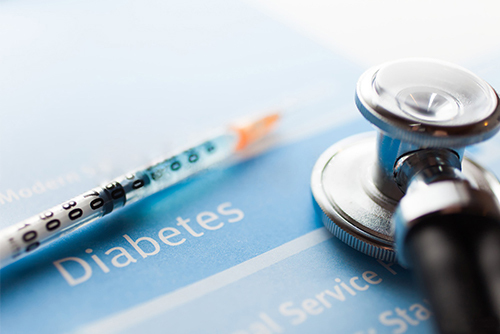 One such factor is diabetes mellitus type II, a metabolic disorder characterized by hyperglycaemia (high blood sugar). It is a chronic disease, with symptoms that range from excess thirst and frequent urination to constant hunger. People suffering from diabetes are at elevated risk for vascular illness as such, monitoring at a thrombosis clinic is a suggested measure to reduce future risk of deep vein thrombosis. Typically, diabetes mellitus type II is associated with a propensity for obesity. Obesity puts added pressure on the veins in your pelvis and legs. As such, managing obesity is a proactive lifestyle choice that can reduce your risk for deep vein thrombosis and associated illnesses. Dietary changes and increased exercise are recommended to help bring your weight under control. Complications that can arise from high blood sugar include, but are not limited to, heart disease and strokes. If you have experienced a stroke, we encourage you to consult an official outpatient stroke clinic. In addition to high blood sugar, atrial fibrillation is a significant risk factor for stroke. A heart arrhythmia or irregular heartbeat can elevate your risk of heart disease and abnormal clotting. Vessels can become occluded, and is extremely dangerous. An assessment at an official stroke clinic is required for the effective management, and reduction of future strokes. 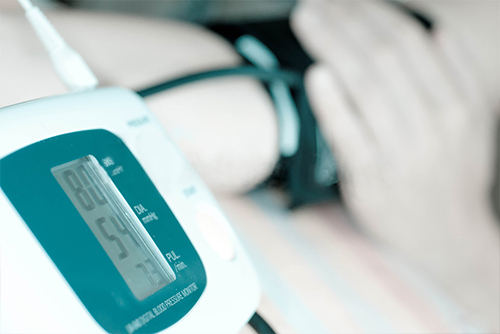 It is known that high blood pressure is a precursor to health complications such as stroke, pulmonary embolism, and peripheral vascular disease. High blood pressure, otherwise known as hypertension, is a chronic medical condition and determinant that doctors use to evaluate the vascular health of a patient. Specifically, high blood pressure refers to elevated blood pressure in the arteries. For individuals who suffer from high blood pressure, medication may be required to bring high blood pressure under control. If you have high blood pressure, and are already at risk for DVT, it is vital that you consult an official thrombosis clinic for effective treatment and management. Smoking is considered the most preventable risk factors for premature death worldwide. Consequently, quitting smoking is a proactive lifestyle choice that can lower high blood pressure and the risk of deep vein thrombosis, as it interferes with circulation and increases the tendency of blood to clot. In addition to quitting smoking, exercise and healthy diet are the recommended preventative measures for high blood pressure. Atherosclerosis is perhaps the underlying mechanism that drives a great deal of vascular diseases. Due to the fact that atherosclerosis is asymptomatic, sometimes for decades, patient education and a proactive approach to health becomes vitally important. Atherosclerosis is the thickening of artery walls from the accumulation of materials like cholesterol and triglycerides. Since it is a catalyst for atherosclerosis, it is critical that high cholesterol or hypercholesterolemia be addressed. Hypercholesterolemia is understood as the presence of high levels of cholesterol in the blood. It is one of three major classes of lipids or fats and is a precursor to the development of atheroma in the arteries. As you may have realized, a healthy diet and regular exercise is the most recurrent preventative lifestyle measure to reduce your risk of developing deep vein thrombosis (DVT) or associated illnesses such as stroke, pulmonary embolism (PE), atrial fibrillation, or transient ischemic attack (TIA). Thus far, a healthy diet and regular exercise have been suggested to control the things that lead to conditions like DVT including high blood pressure, high cholesterol, diabetes, obesity and atherosclerosis. The reality is that we put ourselves at risk for DVT and associated illnesses long before we develop things like diabetes, high cholesterol, high blood pressure, obesity and atherosclerosis. We put ourselves at risk every time we sit for long periods of time and impede our circulation. A sedentary lifestyle will restrict or slow the flow of blood in the veins of the legs and put you at greater risk for clotting. When traveling on long trips or sitting for hours at work it is essential to stretch your muscles every couple hours to ensure that you do not develop DVT and associated illnesses. This is especially relevant to individuals who have undergone surgery. It should be a priority to begin moving as soon as possible after surgery or an injury because it will stimulate the flow of blood in the legs and reduce the risk of post-surgical clotting. Please remember that it is better to prevent the onset of these illnesses than it is to treat them.